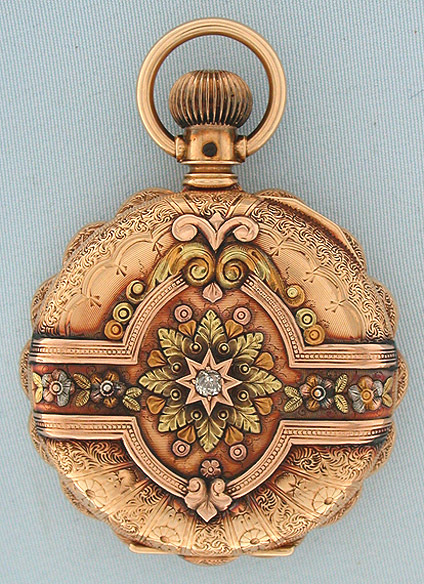 Beautiful Elgin 6/S 16K multi-color gold and diamond midsize antique pocket watch with rare multi-colored dial circa 1890. 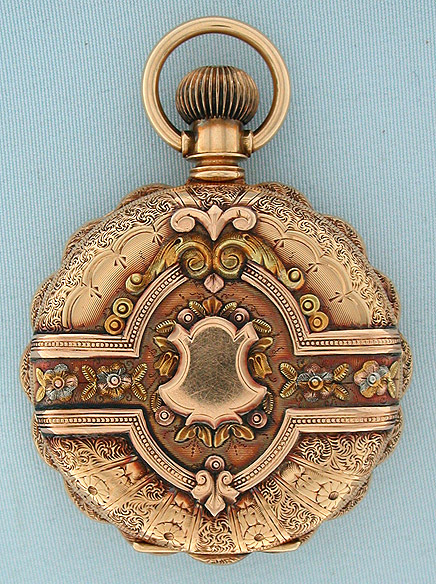 The engraved scalloped case decorated with applied designs in various colors of gold. 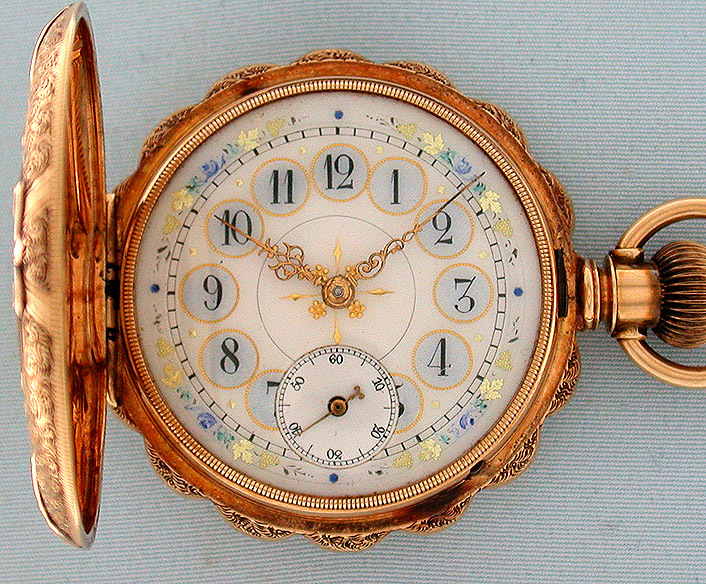 Beautiful Enamel dial with gold and blue decorations and fancy gold hands. 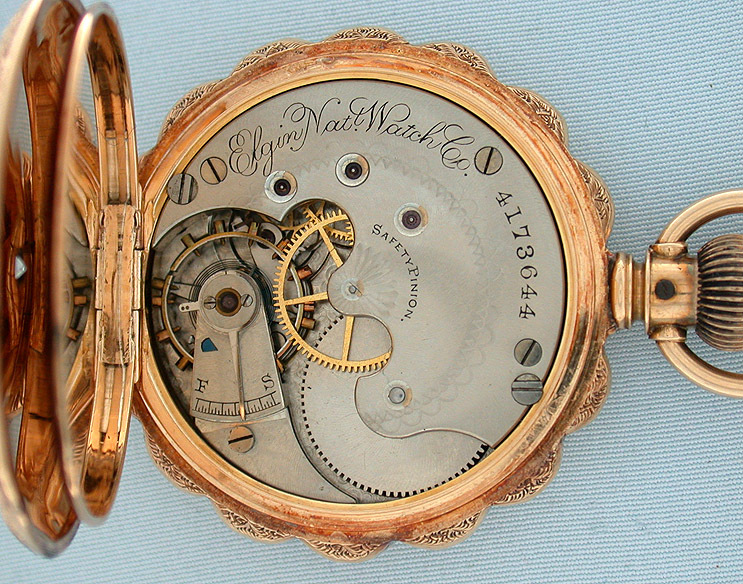 Nickel 13 jewel lever movement. 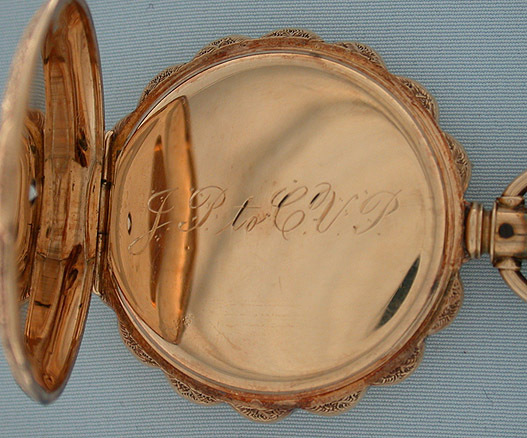 Particularly fine condition.